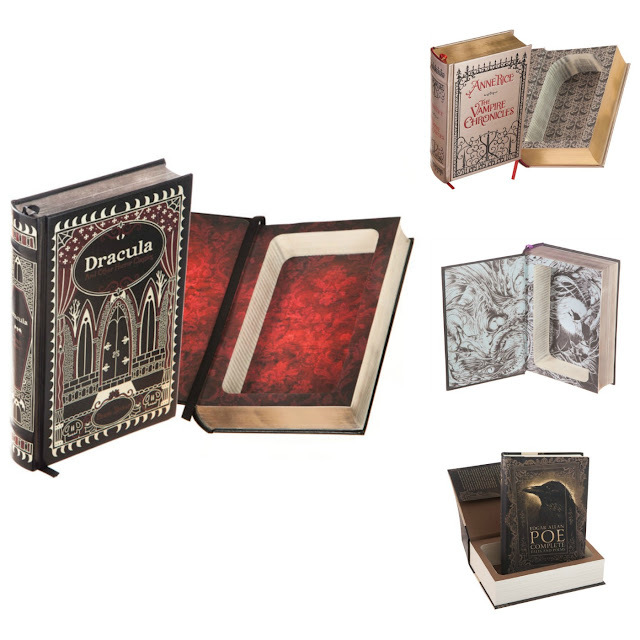 I'm tempted, though I don't usually use leather products, to buy one of these gothic and horror book safes. Some people joke that they use them to hide flasks, but I'd use mine for a little sentimental jewelry and secret documents! I can't even begin to imagine how they hollow these out so precisely, nor how long it takes! 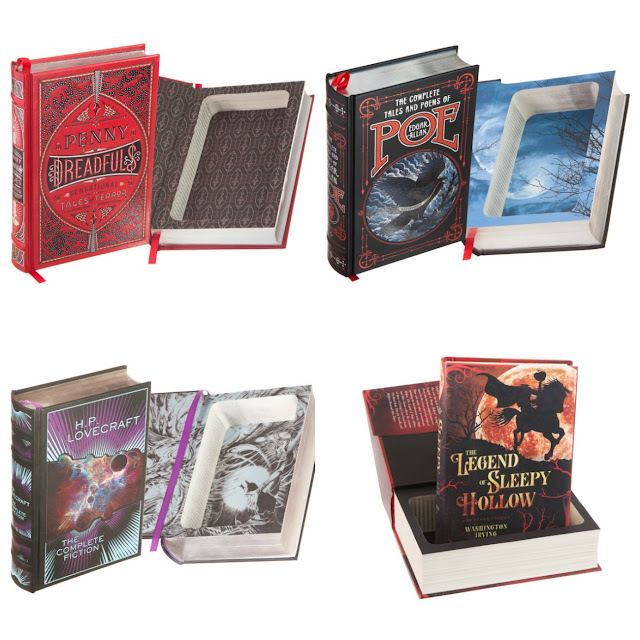 Each BookRooks book safe begins as a leatherbound hardback book. They're fitted with magnetic closures so your treasures don't spill out even if the book is dropped or turned upside down. They have a nice offering of classic gothic and horror books that you might own already, and if not will blend seamlessly into your home library. Shop for other leatherbound hollowed out book safes on Etsy at BookRooks!